As we start out our new Legion Year, I want to focus on the Blood Donor program. It is far from a new program and it needs to keep growing. You will never know when you, or one of your loved ones will need blood. It only takes 10 mins to give the gift of life. Remember, donating just one pint saves three lives. If your Post has a Blood Chairman, please send their info to blooddonor@legionmail.org. 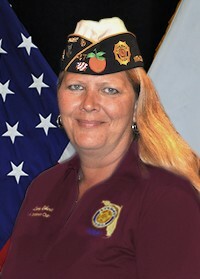 If you do not have a chair, let’s get one, it can be a Legion, SAL or Auxiliary member. If you have an event, contact your local blood bank and get the bus there to help out the community. Or go to www.oneblood.org or www.redcrossblood.org. 38% of the population can donate blood, but of that less than 10% actually do. Blood CANNOT be manufactured, it can only come from you, the donor. If every donor gave just ONE MORE time each year, there would be no blood shortage. In a few months, we will be having a statewide blood drive. Let us rock Florida and get the blood donated and stop the shortage. If your Post is having an event and needs help getting the blood bus there, let me know I am more than happy to help you out and I will be there to support your drive.